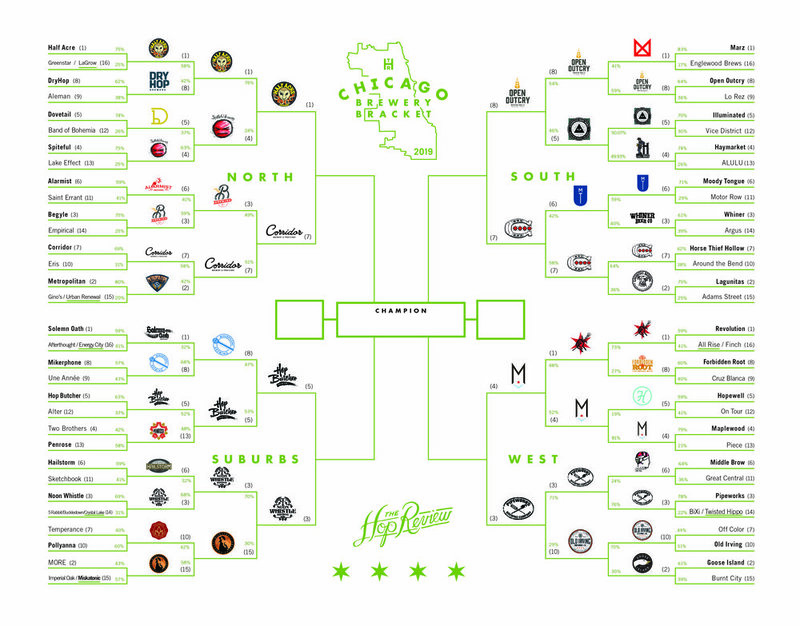 Three rounds of our Readers' Choice Chicago Brewery Bracket are wrapped, and we’ve seen more than 140,000 total votes. And the “Sweet 16” battles have seen the tightest margins of victory across the board yet, as several breweries eeked it out by just a few percentage points. 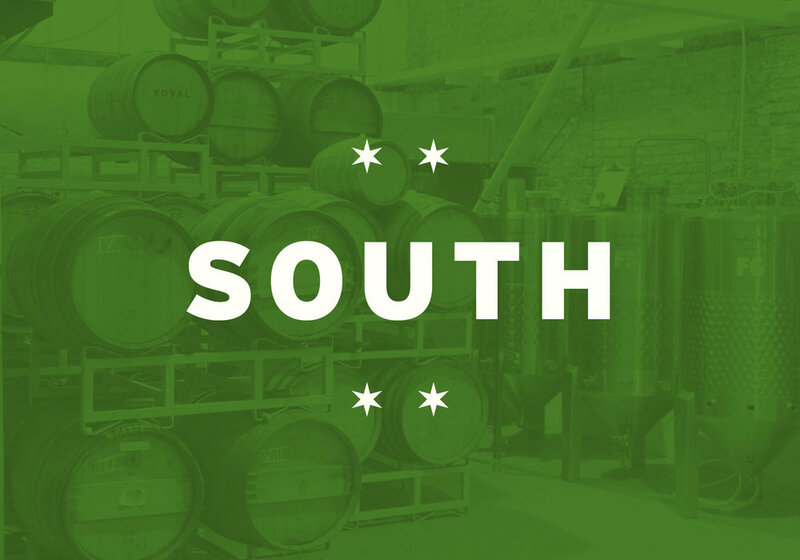 The South region took in the most votes, setting up a battle for Beverly, as the neighborhood’s two far South Side breweries now matchup. The North, West & Suburbs each saw narrow wins for their advancing breweries also. The battle for Chicago brewing’s 'Final 4' is about to get a bit more interesting. Vote for your favorite breweries below, and we will tally the votes in order to select an ‘Final 4’ for the next round. Voting concludes Sunday, 3/31 at 5:00pm CST. The dark horse of the North region continues their march into the Elite 8 as Lakeview’s Corridor defeated their neighbors Begyle by the slimmest of margins. The brewery that’s made a name for itself doing all things hazy will now face the blue blood of the North Side in Half Acre. 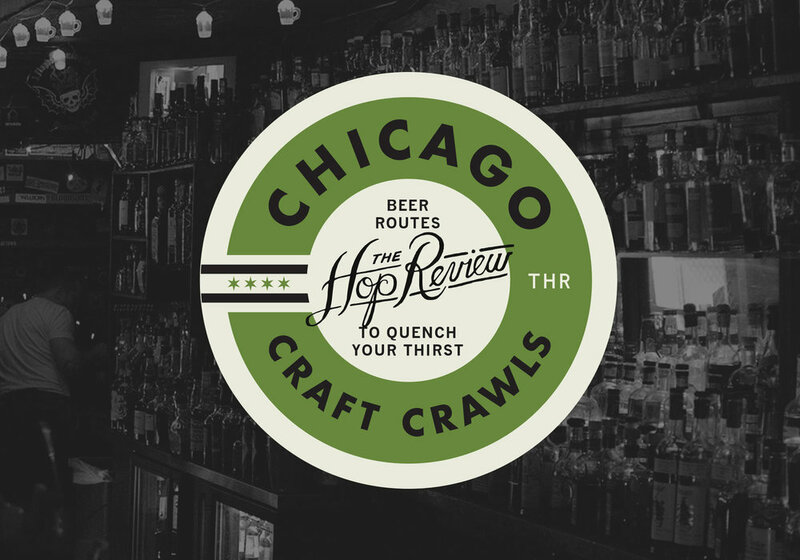 HABC is perhaps one of Chicago’s most respected–and one of the city’s oldest–breweries, and their hoards of fans will make for a tough out. (7) Horse Thief Hollow vs. (8) Open Outcry Brewing Co.
Who would have thought these friendly Beverly neighbors would match up so late in the bracket? Horse Thief Hollow was our original bracket champion (2016), so there’s no denying the incredible following they’ve garnered since they opened back in 2013. Open Outcry is the relative ‘new kid on the block’, but has also struck a chord with the South Side neighborhood. Who will take home the Beverly crown? Pipeworks hopes for a return to the Final 4 for back to back years, after taking down Old Irving Brewing. They’ve made waves in recent years, steadily growing their portfolio to include a vast array of the hoppy, juicy, decadent and barrel-aged. They’ll face off against Logan Square’s favorite brewery lounge and distillery, Maplewood. Their own lineup of the juicy and the decadent will make for a solid matchup in styles, and cult followings. VOTING to determine The Elite 8 CONCLUDES, SUNDAY, 3/31 AT 5:00PM CST.